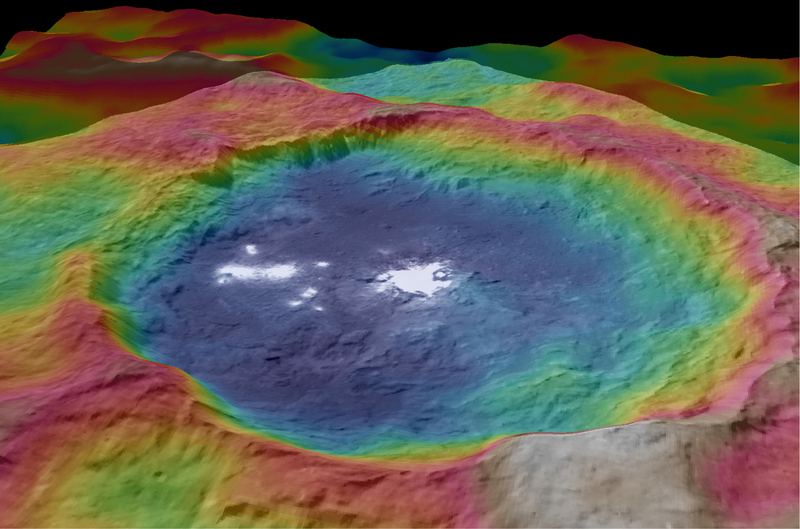 What is in Occator Crater? The short answer is….we don’t know. It could still be a lot of different things, but take a look for yourself and see if you can figure it out. Ceres is soon to make a descent to its lowest orbit for final mapping, and will be orbiting only 375 Km above the surface. This will give the highest resolution data yet, and hopefully shed some light on the mystery of Occator crater.